With more than a billion people - and tens of thousands of languages and ethnic groups across 54 countries, Africa has a beautiful, complex tapestry of cultures. Three years ago, while in Ghana, someone told me how much they felt Facebook and Instagram enabled people across the continent to capture and tell their own stories, with a speed and style that never existed before. Ime Archibong, Facebook's vice president of product partnerships. With hundreds of millions of people here across the continent using Facebook and Instagram every day to share messages, videos and images with the people and communities they care about most, this gives us the important responsibility of making complex decisions about which content we allow, and which content we take down, in line with our Community Standards. Every day we grapple with our responsibility to keep our community safe while giving people freedom to express their opinions about the issues that matter the most to them. We take this responsibility seriously and know that we don't have all the answers. 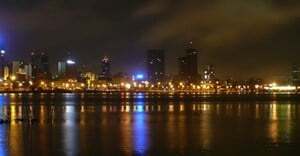 We also know that we must continue to learn from experts and members of our community, in particular those of you who live and work across Africa. This is why over the next year we will design a global body, an Oversight Board, which will have the authority to review some of our most challenging and contentious content decisions. It's critical to get wide input from local experts, including academics, NGOs and civil society from across the world — and here on the continent— on how this independent body could work. As part of our information gathering and consultation process, we're hosting a workshop in Nairobi over the coming few weeks, with participants from across the continent. We are incredibly excited about deeply engaging with this group on the hard questions related to content on our platforms. We recognise that this is a complex process that will strengthen how we exercise our responsibility to users. To be clear, we are not asking a group of experts to make decisions for us. We are, however, asking for their insights to help inform our thinking and hold us accountable. We'll still be making hard decisions every day, and we accept the full weight of that responsibility. The board will exercise independent judgement when reviewing our most difficult and disputed content decisions and hold us publicly accountable if we don't get them right. This should in time bring more perspective, accountability and transparency to our content decisions. The board will have the power to overrule or uphold Facebook's content decisions and will be able to recommend changes or additions to policies. Through workshops such as the one in Kenya, we are listening to our partners and incorporating a diverse range of perspectives from across Africa into the board's design process. These insights are critical in designing a board that can serve our global community and uphold our values, while bringing independent judgement to controversial cases. The success and the ultimate effectiveness of the Oversight Board will depend on its ability to accommodate an inclusive and diverse range of perspectives, across language, culture and experience. Above all, it’s important we achieve a diversity of backgrounds and perspectives to reflect our truly global community. While we can’t include representatives from every country and culture, Africa will be represented on the board alongside other regions, and we continue to explore ways to improve. We are very much at the beginning of this process - it has not been done before, and, with input from our community across Africa, we are working hard to get it right. 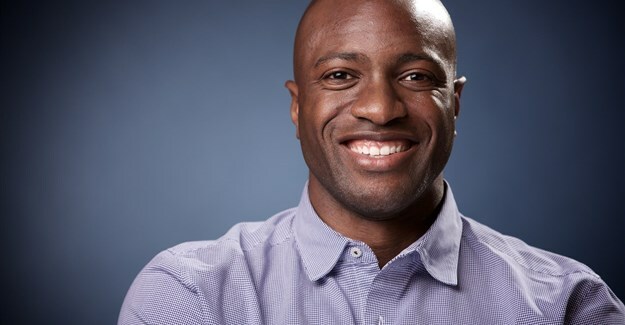 Ime Archibong is Facebook's vice president of product partnerships.